Feature antimicrobial protection to reduce harmful bacteria and epoxy-polyester powder coated doors & carcass with vents at the top and bottom. Each compartment fitted with anti-theft shelf and doors include all-round reinforcing edge to improve strength and rigidity. 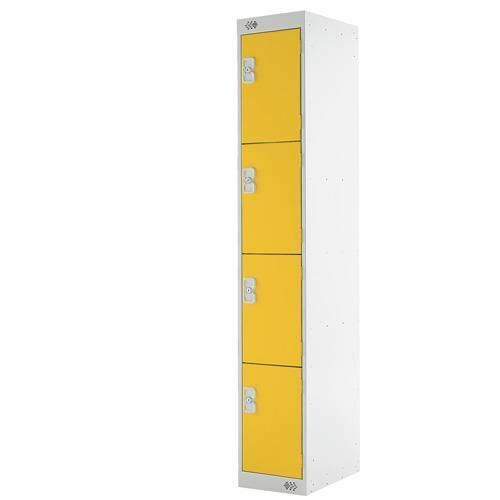 Lockers come with a standard cylinder lock with an in-frame locking through the door to provide added security and 2 keys supplied. Flat top 4 door locker ideal for staff lockers in commercial or industrial environments.